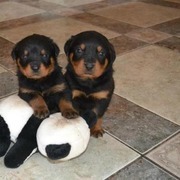 Find free classified ads for Pets for sale and to buy in Blackburn. Shown below are classifieds for Pets. Please use search box above to find other items in Pets Blackburn or look at the Blackburn for neighboring places in the locality. The Cavalier King Charles Spaniel gets along well with children (older children are preferable), other dogs, and any household pets. It is friendly, happy, and loving..
adorable Shih Tzu puppy for adoption. here is a cute and very sociable Shih Tzu puppy for adoption.she is well trained and housebroken.she is 12 weeks old and very intelligent.she has been updated with all her shots and she is registered.contact us for more tails and photos if interested in offering her a home..
please could someone let me no where i could buy a monkey from, ive been looking for months now and keep getting the same people wanting me to send them money first then they will deliver the monkey, belive me i have search and traveled far and wide, the monkey would have an excellent home for life, as many kisses cuddles he/she wanted and lots and lots of attention, my husband and son are monkey mad, we are not breeders or dealers or scammers, willing to travel, please get in touch if you really do have a monkey for sale as i dont think my family cope with another let down. beautiful tiger stripe fluffy black kitten, this little girl was let down by time wasters, she is the only one left, she loves playing with the children, winding the dog up, she is playful but loves cuddles, wormed excellent at useing litter tray, eat anything you give her, this lovely little girl is 40.
she is vaccinated, registered and has pedigree. good with kids and has very good temperamnets. Interested persons are welcome for more details. Just over one year old, quite well behaved but still learning. Border Collie size, weighs approx 25 kilos, black with white chest. Good with children. Cross breed, Springer and Border Collie in. Genuine reason for looking for a new home for my much loved pet, will explain further. We would be happy to fetch Jack to your house for you to meet him or you can come to ours. Good home siberian husky puppies with black and white color.these puppies are current on their short and are dewarmed.they will come with a lifetime health guarantee certificates..
Adorable Brittany Puppies For Sale They are kc register vet check so good with kids and other home pets come with all papers now set for a new and for ever home contact for more information.. Wanting Bengal Kitten. I am looking for a bengal kitten, female, would prefer 6 weeks old and rosetted markings. Doesnt have to be full pedigree but must show good rosetted markings, and papers are not an issue as I will not be showing, the kitten will be a pet. I am offering a secure loving home, I already have a cat thats 5 years of age so they will have a playmate, there are no children residing in the household, and I am an experienced cat owner / handler. 12 months old male white, 3/4 chihuahua 1/4 pom. full vacinated. Bubbly little chap good with other dogs. Loves cuddles..
english bull terrier male. I am absolutly gutted to be having to advertise my english bull male, he is kc reg, pure white, has sired a litter of pups throwing whites & brindles, he has lived in or out but ideally am looking for a new fireside home for him. brilliant with kids, great big softy, looking for a new forever home due to relationship break up and its not fair me working long hours and not being able to spend the time with him he deserves. YORKSHIRE TERRIER MALE PUUPY 12 WEEKS, PAPER TRAINED. Smokey Joe is a teddy bear like Yorkie and is 12 week old yorkshire terrier puppy. Mum is a small std and dad is a very small toy. He is very well mannered and he will sit and shake his paw. He is using his wee mat and is very playful. He is DLUK registered and will come with four weeks free insurance, one weeks supply of puppy food. Macbeth Is A Pretty Little Girl. She Will Be The Talk Of The Town. This Puppy Has Current Vaccinations, Please for more details and cute pictures get back to me using this email address below queen.long60@live.com. United Kingdom free classified ads for Pets, Blackburn, Pets free ads Blackburn, Pets for sale Blackburn, Pets to buy in Blackburn. This page is a listing of classified ads for Pets category in Blackburn. This section includes classifieds for sale and to buy in Blackburn. Pets Blackburn ads Blackburn, Pets classifieds Blackburn, Pets free ads Blackburn, ads for sale Blackburn, ads to buy Blackburn, FREEADS in UK. Find here ads for sale, to buy and rent in Blackburn. Goods for sale in Blackburn, vehicles for sale in Blackburn, Blackburn real estate for sale, Blackburn property for sale, property for rent in Blackburn, business ads in Blackburn, Blackburn business classifieds, services in Blackburn, Blackburn services ads, jobs in Blackburn, pets for sale in Blackburn, Blackburn dating, Blackburn cars for sale.